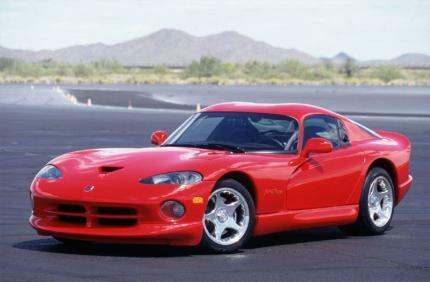 I think, the Most Perfect car, Ever, "Might Just Be", an Obsidian Black Metallic 2002 Dodge Viper GTS, with Matching '21 Obsidian Black Metallic Rims, with a Tuned Hps Exhaust, I think that could be the Most Perfect car. Just might be..
That Viper isn't fast enough to keep up with my favourite Viper the ACR, the GTS needs more power and less weight to keep up with any ACR. 0.5 sec to hit 60-62? This Losing to the 993 Carrera RS by 4 seconds on the Croft Circuit?? i call that a fixed race favoring the RS!! 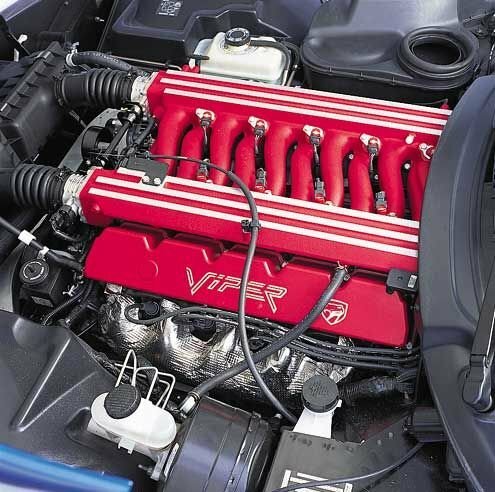 Croft wouldn't suit the Viper as its all about handling rather than bute force on that track. Whoever said that 1:32 is 10 seconds too fast at Willow Springs obviously has never been there with the Viper club, nor driven a Viper GTS there. Amazing how some people talk with no first-hand knowledge. Sigh, thats the internet for ya. Anybody can spout off innacurate information with no background checks. 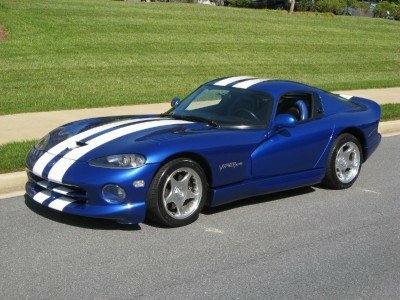 When Viper Days goes to WS big track, many bone stock Gen 2's do very low 30s there. Driving ace Terry Rossi has done a 1:29 in a bone stock Viper GTS ACR on street tires. 1:32 is achievable to a moderately capable driver if you have the "sack", and seat time. WS is all about nerve. Terry has videos on YT of him on WS and the Nordshleife in Vipers. Check it out. PLEASE CORRECT THE 0-60 TIME. VIPER HITS IT IN 4 FLAT. did you seeen it complete? there is the motor trend test. not that i doubt those performance numbers, but i do find it (Kinda strange that the GTS passes the 1 mile mark at 170mph when the 997 GT2 and SLR pass at 177 and 178mph! come on!! !, there is the link:p!!! just change the performance:p!!!!! The viper it's much more than that!!!! yeah its fast on striaghts but i cant quite see whats with the willow springs lap times i like the track but the lap times the cars get their arent makeing to much sense its hard to belive a viper gts goess round willow springs faster than a porsche gt3 rs. The Viper gets to 60 in the low 4's, it's with probably with rollout though, like most mags test. wrong it does so 0-60mph from a dead stop in 4.2, lear before you speak!! and the gtr does 0-60mph in 3.1 tested by road and track! 0-60 in 4.2? it may be able to do 5-60 in that time but anyone who tests from a dead stop isnt gonna do that. and apparently this site doesnt do that or the gt-r and 911 turbo would both do 3.2. 192mph? um no, 450bhp from a 8.0L n/a 488 cid V10, 0-60mph in 4.2, 0-100kmh 4.4, 0-100mph 9.3 0-160kmh 9.4 1/4 mile in 12.4 at 117 and top speed is 186mph and weigh is 3400 and torque be 490 with a price of $80,000...proven, id post them but im too lazy:) prolly latter though! What's the issue date of Motor Trend where these performance figures were published? Top speed 192 mp/h, 0-60 4 flat. If the ultima is that good of a deal why is it hardly talked about or ever seen. And i found no proof of it costing only $100000?